Can you believe I've never eaten sushi at a restaurant before? I think I've picked up a pack at M&S for lunch and tried a few bits at an event but I've never been able to try out a variety of dishes so I was really looking forward to my trip to the Cardiff branch of YO!Sushi. There are loads of choices which suit a well seasoned sushi aficionado or a sushi newbie like myself. If you are a little put off by the idea of raw fish then you can try some tempura, a salad, soup or vegetable roll. If you were like me before my first visit and aren't too sure how it all works in store I can assure you it is super simple. All dishes are freshly prepared and you can see them being made in front of you. If you want a particular dish on the menu but can’t see it on the belt, just press the call button and a member of staff will pop over and take your order. You can help yourself to water from the taps on the tables and green tea comes with unlimited refills. I sampled some new dishes on the menu but was also able to try some old favourites like the katsu curry. I thought of my meal like Japanese tapas, I got to have a little bit of everything rather than being stuck with only one option and being jealous of what my friends were eating or having regrets about my choices. The Clam & Enoki Miso Soup - Shiro miso broth with clams in their shell, enoki mushrooms, wakame, spring onion and shichimi powder was light and refreshing after a heavy katsu dish, perfect for someone with more adventurous tastes. Okonomiyaki which is a savoury cabbage filled pancake with loads of toppings and smoked bonito tuna flakes was a highlight for me and under 150 calories. I also loved a slow braised pork belly dish with a sweet sauce and rice called Buta No Kakuni. If you're after something spicy I highly recommend the dynamite rolls, they got their name for a reason! 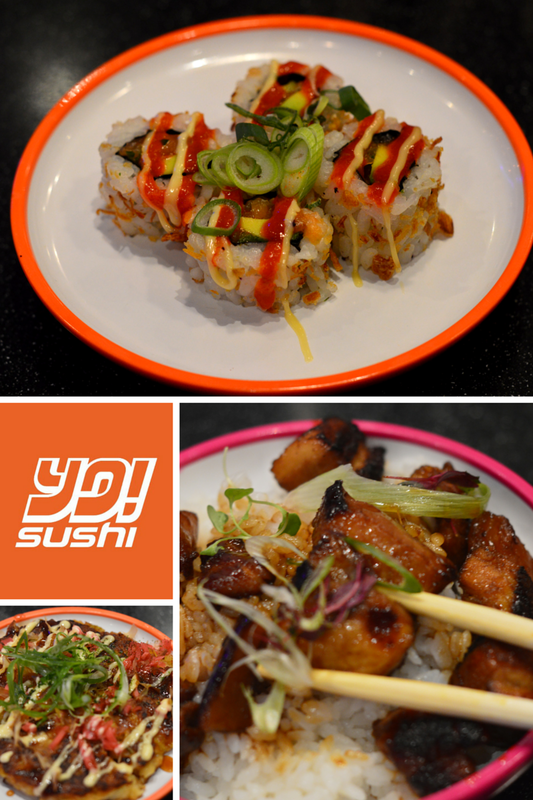 I really enjoyed my first trip to YO!Sushi, if you want to visit you can find your local store here. 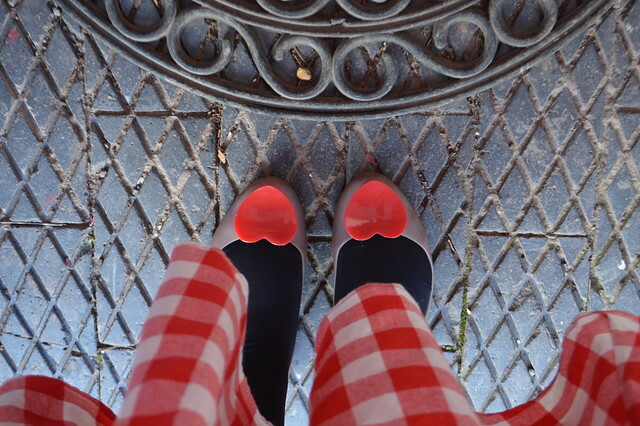 Have you heard of Dolly And Dotty? I have to admit that I hadn't until recently because all things relating to the new house and the engagement had held my focus and I tend to stick to the same old brands. 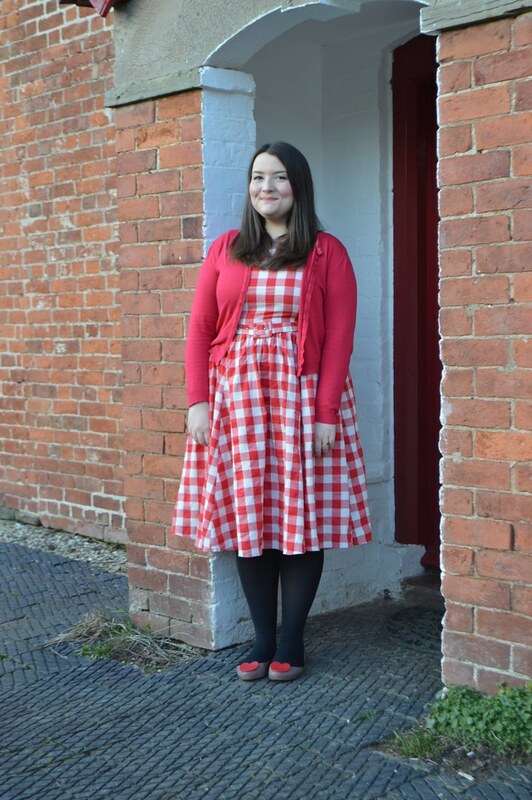 Dolly and Dotty stock some really cute and affordable retro style dresses in sizes 6-24. 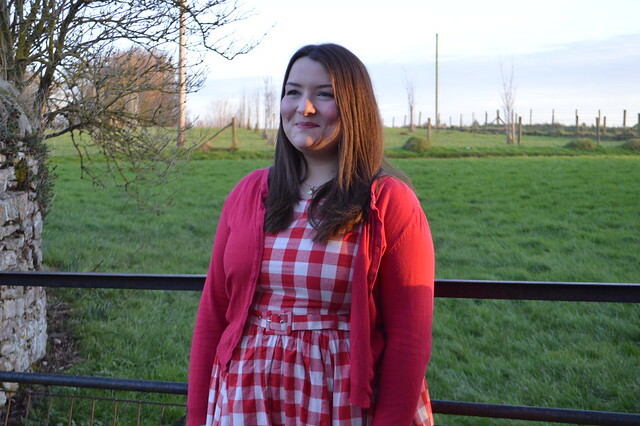 There is so much to chose from on their website with bold tartan prints, polka dots, cherries and florals. With all the options I was a bit bamboozled but I eventually settled on the Hyacinth swing dress. 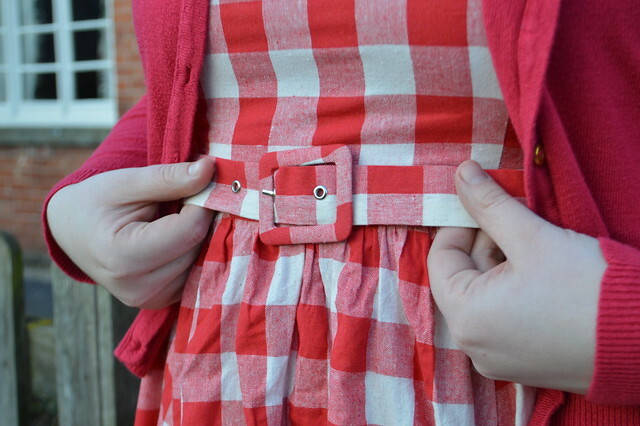 It's got a timeless 50s shape with a really full skirt and a belt which nips you in at the waist to complete the 50s look. This dress hung so nicely, it is made of a heavy cotton and is fully lined which makes it feel far more expensive than its £24.99 price tag. I've worn this dress out for a special occasion with a very full net underskirt and I was so huge I could barley get my skirt through the door, perfect for swooshing about and feeling fresh out of Rydell High. 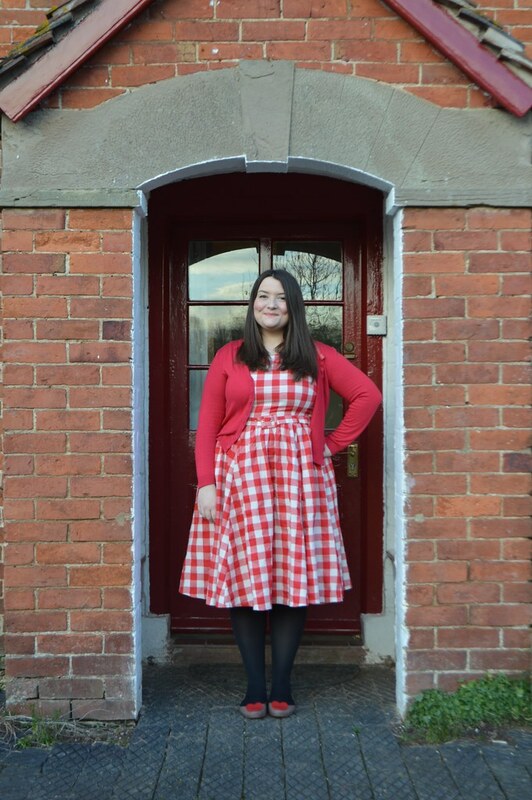 Typically I have to size up when ordering from vintage/retro type online retailers as I find them a bit skimpy and clingy but Dolly and Dotty were true to size and the material felt natural and breathable. I've now got my eye on the rather gorgeous Lillian dress because I love this one so much and will be adding it to my collection once I've paid for boring things like electricians and shed for the new house.